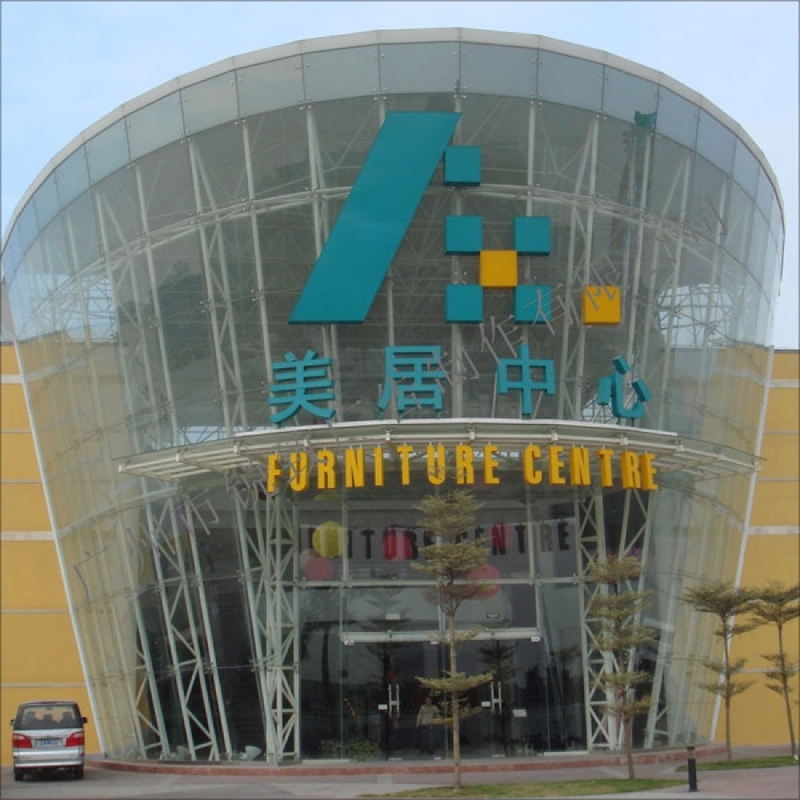 In December 2000, Pearl River New City in Guangzhou CBD opened, is the first to MALL philosophy to develop a large home stores. Overall operating area of ​​120,000 square meters, divided A, B, C, D, E five, operating the home improvement, ceramics, sanitary ware, cabinets, furniture, lighting, household products, gardening and other eight industries, forming a complete home chain, broke the domestic furniture and building materials stores scattered, low-end situation, directly contributed to the grade of the store to upgrade the domestic home. Phase II: In 2006, the United States to establish the Centre shopping mall in the fast-paced "MOSART Mercure Centre", located in the fast-paced shopping center (the second, three), total construction area of ​​78,000 square meters, the Centre brand in the United States 7 years of operation, based on the extension of the upgrade of the Mercure brand MOSART center, its positioning as a space for art museums, and focus on commercial space to create and promote business culture, the Centre will further strengthen the aesthetic beauty of home business ideas. The Mercure entered a rapid development of a comprehensive upgrade of the new era. The establishment of flagship stores, and then to achieve breakthrough business model for consumers, businesses offers a new model of interaction. Innovative space design - light day ceiling, air-conditioning systems, recreational water bar, indoor banyan tree, flowers, miniature landscapes and other components of the industry unprecedented space concept. Reserved parking design - Back in the late 1990s, the United States reserved the Centre on the number of parking spaces, plus parking square of green, just like a garden-style home shopping. Home have more design and exhibition space for businesses to provide a full range of products on display, access to industry and business recognition. Cloth and artistic theme products. Businesses and consumers have customized interactive activities. Mercure Centre opened in December 2000 has already gone through seven years of development and accumulation, are now beginning the road towards the brand chain. Collection of domestic brands, including hundreds of high-end home-furnishings brand, and most of the mainstream brand with good strategic partnership. Seven years, from the city's largest home shopping "Guangzhou's home carrier" to "Magic life" on trend-life thinking, to "MOSART Mercure center" fashion image, the U.S. Centre for its innovative business ideas , mature management system, complete industrial chain of home shopping environment and excellent high-end home shopping in Guangzhou established a leading position. Mercure Centre has been praised for its sound management system to follow the industry and is constantly peers. Back in 2003, the Centre will be based on the U.S. demand for tailor-made management more comprehensive set of system processes, the mall's customer service, investment processes, financial systems and other aspects of the work carried out a comprehensive specification and provides clear guidelines. Mercure Centre management team, hands-on experience is very rich. Continuous operation in the practice of deepening the understanding of home industry, and summed up for further development of the brand's strategic planning, operation and management to ensure the smooth progress of work, promote the brand's steady growth has an important contribution.